In 1640, America distilled its first barrel of whiskey—rye whiskey, to be exact. By the 19th century, ninety-six percent of the liquor consumed in America was rye whiskey. In 1948, Tex Ritter famously crooned, If I don’t get rye whiskey, I think I will die. 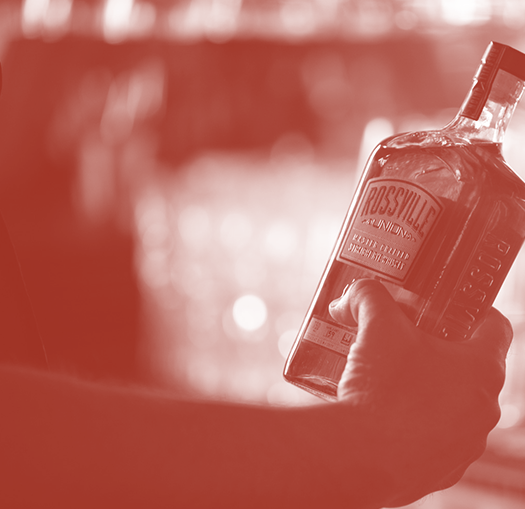 There’s no question rye whiskey is deeply woven into the fabric of American cocktail culture. In fact, whiskey purists would say that you can’t make a proper Old Fashioned or Manhattan without the savory taste of rye. So if you haven’t yet discovered the rye difference, The Masters of Rye are about to show you what you’ve been missing. IN ORDER TO BE A TRUE RYE, A WHISKEY’S MASH BILL HAS TO CONTAIN AT LEAST 51% RYE. BOURBON, ON THE OTHER HAND, IS MADE WITH 51% CORN, RESULTING IN A NOTICEABLY SWEETER TASTE. Like bourbon, rye whiskey is aged in charred new-oak barrels, extracting flavors of caramel, smoke, and vanilla. But rye’s spice adds a layer of boldness that enhances the overall flavor. It’s what gives rye the ability to cut through a mixed drink. You can easily taste the difference between a cocktail made with bourbon and one made with rye. Rye whiskey is characterized by a spicy, peppery flavor. To understand the impact of grains, think about the difference between wheat, corn, and rye bread. Transitioning from bourbon to rye is like going from corn bread to rye bread or from a sweet wine to a dry wine. Whiskey drinkers with more sophisticated palates enjoy a high-rye taste. Most of the whiskey consumed in America during Prohibition was bootlegged Canadian rye. For decades after the repeal of Prohibition, Canadian rye remained more readily available than American rye, giving Americans the wrong impression of what a real rye whiskey tastes like. In reality, there’s a major point of differentiation between Canadian rye and American Rye. Unlike America, Canada has no standard when it comes to rye. In fact, the laws regulating Canadian whiskey don’t specify the need to contain rye grain at all. Many Canadian ryes have a majority of corn in their mash bills. The main complaint about Canadian ryes is that they tend to lack the complexity, flavor, and richness of American ryes. Try a blind taste test sometime—you should be able to easily identify which is the American rye and which is the Canadian. It’s not to be underestimated just how much Americans love their rye. 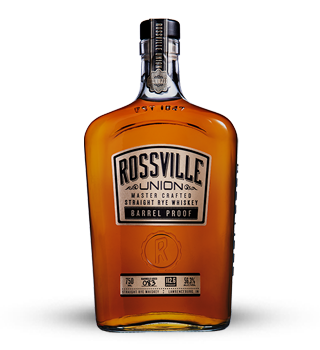 While it’s true that in order to be classified as a rye in America, a whiskey must have at least 51% rye in its mash bill, Rossville Union Rye Whiskeys have much more than that. Ours is what’s known as a “high-rye” whiskey. 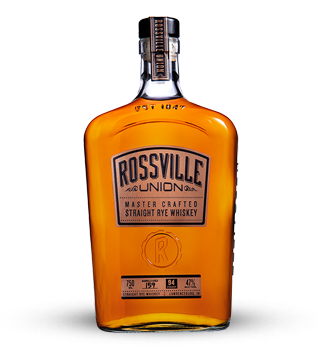 Both of Rossville Union’s Master Crafted Straight Rye Whiskeys have a caramel-forward taste and smoky body, but two distinctive aromas and finishes.